Hi Everyone. Susan here with a monochromatic Halloween card for you. When Catherine offered the design team the option of taking part in the Halloween release I jumped at the chance. I knew if Catherine was involved then the stamps would be fun and I would regret it if I didn't take part. I was right! All of the Halloween stamps and dies in the release are fantastic! 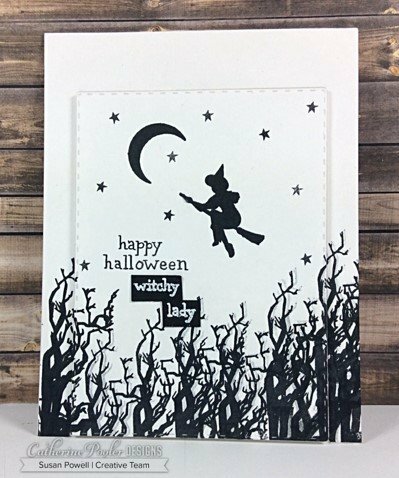 For this card I used the Spooky Hollow stamp set and Midnight ink to create a clean and simple monochromatic scene. I started by stamping the tree using my MISTI and then shifting the paper over the slightest amount and stamping again without re-inking to create a shadow. I did this across the bottom of the paper varying the height of the tree. Next I stamped the witch and the moon. I added the sentiment and opted to emboss the ‘witchy lady' with white on Midnight card stock. I cut out the raised portion using a die from the Postage Stamp die set and added it back with craft foam for dimension. To finish it off I added a few stars with more Midnight ink. I hope I inspired you to create today! 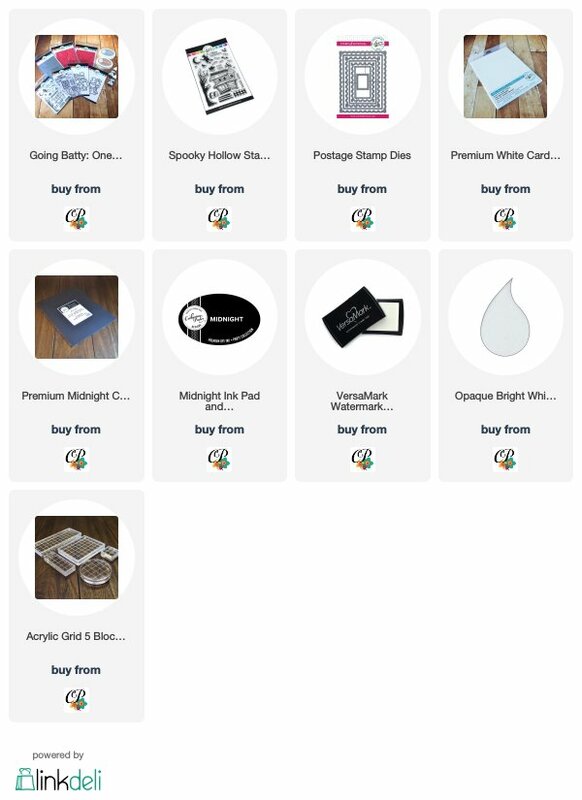 Bullet Journal Basics – new stamp set!